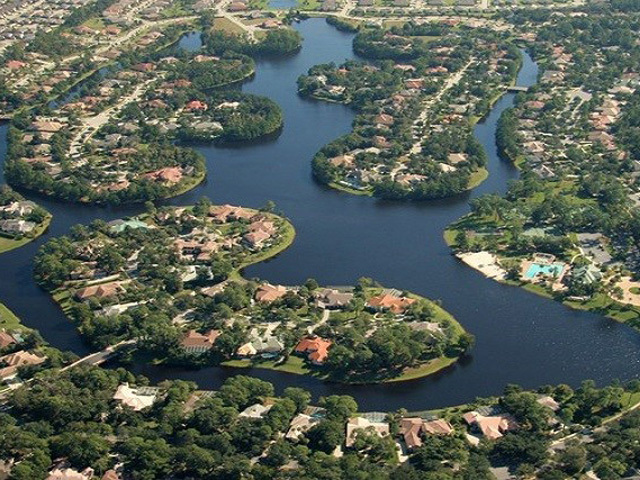 Lake Forest, with it’s beautiful lake and natural setting, stands out as one of Central Florida’s most distinctive communities. A waterscaped, 24-hour staffed and gated entrance welcomes it’s residents home to 53 acres of natural beauty, privacy, and recreation. The combination of generations old pines, oaks, and thick woods and an inspiring 55-acre lake winding throughout the community provides breathtaking views and magnificent home sites making for an elegant neighborhood. Lake Forest has earned the distinction of a Grand Aurora Award for “The Best Community in the Southeastern United States,” and has received the Parade of Homes Grand Award for the “Best Community in Central Florida”, in addition to garnering numerous design and architectural awards for its outstanding custom homes. Residents can enjoy sunbathing and swimming in the beautiful lakeside junior Olympic pool. The Lake Forest Clubhouse is a private lakefront facility with nearly 10,000 sq. ft. with a Fitness Center located on the first floor. Tennis enthusiasts will appreciate the six lighted courts. Younger residents can enjoy family fun on the playground. Residents enjoy canoeing, sailing and fishing on the lake. There are a v ariety of social activities for adults and children. Location: Lake Forest is located in Sanford, in W. Seminole County approx. 45 minutes N. of downtown Orlando. Take I-4 W. and Exit at SR46, go W. to community entrance. Home prices range from $400,000 to over $1,000,000. Send us a quick message and we will get back to you as soon as possible.